As part of our Lenten emphasis on the Scriptures of the Old Testament, we have recently read in worship the story of the great gathering of the people of God convened by Joshua at Shechem to re-commit their national life to God. 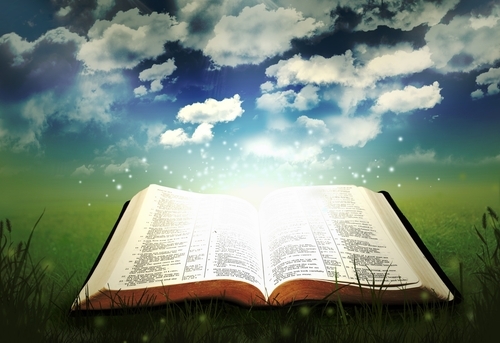 This story contains the Old Testament in a nutshell: 1) God offers the covenant of his steadfast loyalty and love to the people; 2) the people promise in return to be faithful to God and his law for their lives; 3) the people then wander away from God and forget their promises to be faithful; 4) God punishes the people through defeat and occupation by hostile forces; 5) the people repent and cry out to God for salvation; and finally, 6) God hears their cries and restores them to their lives of peace and prosperity in return for their promised faithfulness. This is the cycle of human behavior repeated several times in the Old Testament. This Lent and Easter season, I would like us to borrow a script from Joshua and re-examine our covenant relationship with God and each other. In our worship services the next several Sundays and in our Sunday evening Bible studies, we will continue to explore the story of the people of God and their covenant relationship to God as it is told in the Old Testament. On Easter morning, we, as one people, will make our own re-commitment to the divine covenant. Let us for the moment set aside the technicalities of merger and a new identity, and assume our identity as the unified assembly of the people of God. I want us this year during the Easter service to renew our covenant relationship with God through a litany that we all will help write. So, I would like you to write down on a sheet of paper the things that God has done for us over the years. Now, I’m going to ask you to write in two columns—one column can be for the blessings that God has bestowed on you and your family, and the other column will be for blessings that God has bestowed on us as a people, as a church—you can think of your own church, Massapequa or Levittown plus our combined effort, should you wish to mention that. On the other side of the form will be an opportunity to say what we should include in our re-commitment—what promises we should be making as a people to our God. This one too, will have a column for your personal re-commitments, and for the re-commitments you feel should we should make as a people of God—as one church growing out of two, however you want to think about it. I’m going to distribute the form next week in church (March 6) and give you one week to work on it, and I’ll be the editor, to turn it into a litany of thanksgiving and re-commitment. You can sign the form if you so choose, or just contribute it anonymously. On Easter morning during our 10 a.m. service we will gather as the people of God gathered at Shechem to re-commit to the Lord and to the future of his ministry in this place. Let this liturgy of re-commitment be the beginning our goal-setting for our life together, our renewed community life that we will live in the marvelous light that shines forth from the face of the risen Savior. The apostle Paul reassures us in I Corinthians 10: 13 that God will not abandon us, that He will not let us succumb to the enticements of the devil, if we approach him with humbleness and repentance. Through his covenant, God will reward us beyond all that we ask or think, so let us turn our hearts during this special month toward God, our pillar of fire by night and cloud by day who will lead us through the wilderness of doubt and confusion into the promised land of love, justice and peace. This entry was posted on March 2, 2016, in Pastor's Posts and tagged congregation, Easter Season, faith, followers, God, jesus christ, lent, Lenten Study, Meet God & Friends, members, Old Testament, Pastor, pastor's post, Presbyterian Church, scripture, The First Presbyterian Chruch of Levittown, worship service. This entry was posted on April 15, 2015, in Upcoming Events and tagged Church, church grounds, first presbyterian church of levittown, God, help out, lawn, leaves, meet god and friends here!, rake, volunteer. This entry was posted on March 3, 2015, in Verse of the Day and tagged bible, Christianity, daily, daily prayer, daily scripture, faith, following, God, jesus christ, pray, prayer, scripture, scripture reading, The First Presbyterian Church Of Levittown. This entry was posted on February 20, 2015, in Verse of the Day and tagged bible, bible study, Christianity, church members, daily prayer, daily readings, daily worship, faith, God, jesus christ, prayer, prayer group, scripture, scripture reading, The First Presbyterian Church Of Levittown, worhsip. This entry was posted on February 19, 2015, in Verse of the Day and tagged bible, bible study, Christ, Christianity, church members, daily prayer, daily scripture, faith, following, God, jesus christ, praise, scripture, scripture reading. I don’t know about you, but I’m tired of people complaining about the decline of the church. Don’t get me wrong, I’m as aware of the dismal statistics as you are. But I’m tired of hearing them for two reasons. First, precisely because we already know them, I’m just not sure how helpful it is to repeat them to ourselves endlessly. Second, because it’s not the whole story. There is a lot of growth, a lot of potential, and a lot of hope in our congregations as well as decline. Moreover, the Spirit is moving in exciting ways and I am firmly convinced that we are on the cusp of exciting, if unpredictable, renewal. And I’m pretty sure I’m not alone. You, for starters, may feel the same way—aware of the challenges but far more excited about the opportunities in front of us. Recognizing that we’re not alone is important, as together we are a lot more likely to participate in the Spirit’s renewal than you or I could possibly do alone. Congregations are a primary place where the Spirit is at work for the renewal of the Church and spread of the Gospel. This conviction is important because there are a lot of folks who have all but given up on congregations and, along with it, their leaders. Most tragically, some of the people who have given up on congregations and their leaders are, in fact, the leaders themselves. I am excited to report on the other hand, that this fall the Presbyterian Churches in Nassau County decided to come together not to talk about their problems but to look for solutions to their problems. There are a number of interesting conversations taking place. For example, our church is entering into a conversation with the Massapequa Community Presbyterian Church to discuss ways to do shared ministry. Let me be clear we are not talking about a merger but sharing activities and in the near future perhaps sharing a pastor. The session and I will keep you informed as to how our conversations are developing every step of the way. As we embark upon Advent (the Christian new year) and celebrate Christmas it is a chance to look back on the year and imagine where, how, why, and when Christ’s ideal of the world has had power in our lives. At the same time, it is an invitation to look forward and see how you want that to be true in your future. This is an opportunity for us as a congregation to begin to think about the new things we want to do and to construct resolutions that will create change. We always wait for January to get on with our lives, but what would happen if we chose to get on with life now? How would Advent and Christmas be different? Perhaps our preparation would actually reflect the reality of Christ’s kingdom. Christ’s reign will not wait until Christmas or our New Year’s resolutions will not be limited to January. The spirit does not want us to wait until we feel fully prepared and perfect to make a difference. No the opportunity to serve Christ is here and now. What if Christ is calling us today? Let us answer, here I am Lord, send me. The whole purpose of Advent and Christmas is to demonstrate to the world that Christ reigns. We sing the songs, and give the gifts and shine our lights brightly but we stop singing, stop giving, and take down our lights as if Christ no longer reigns at the end of December. Does Christ only reign in December? 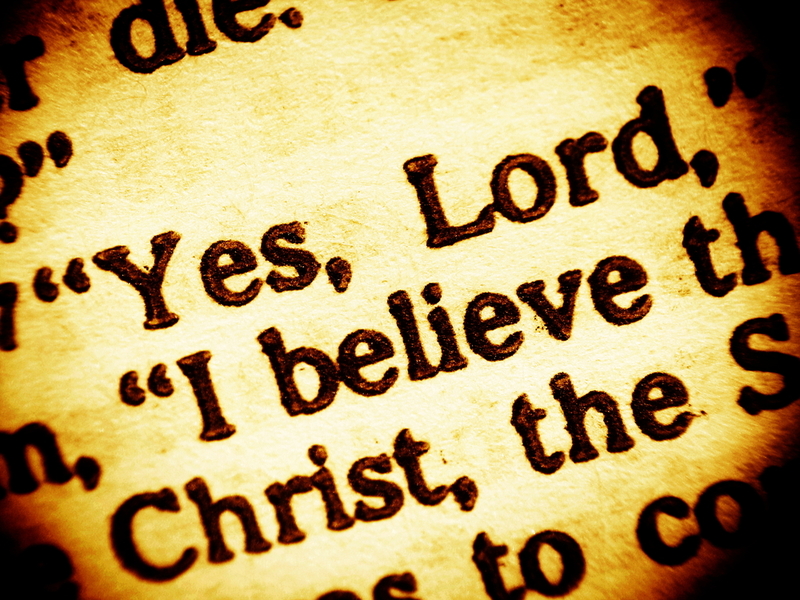 No, we sing and believe that He (Christ) shall reign forever and ever! It is my prayer that the same expectation and excitement that surrounds us as if we wait for Christmas would fill our hearts as we look for the possibilities of revival and renewal in our congregation this coming year! This entry was posted on November 26, 2014, in Archived and tagged bible study, Christianity, Church, church life, church members, daily, daily prayer, daily worship, faith, faithful, fellowship, following, God, meet god and friends here!, Presbyterian.